Don't let mice in your camper this winter. Stop mice now! Home / Blog / Mice Can’t Wait To Make Your Camper Their Winter Home. 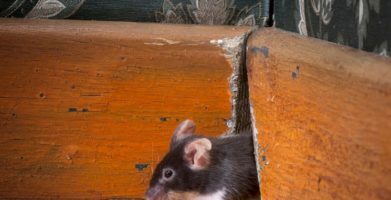 Mice Can’t Wait To Make Your Camper Their Winter Home. Growing up, I spent many weekends setting up tents, watching campfires burn, and falling asleep to the sounds of the forest. Camping is a great family activity. These days, I’d much rather enjoy nature from the comfort of an RV. Unfortunately, mice find campers just as comfortable as I do, especially when cold weather sets in. So as camping season comes to a close, I’ll be taking a few extra steps when winterizing, to make sure that when we open up the RV again in the spring, we don’t find any sneaky squatters. 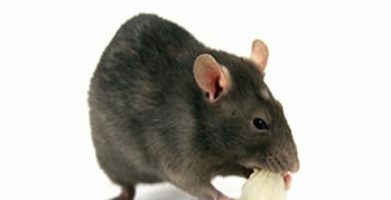 As you begin to pack up your camping gear and protect your RV from the ravages of winter, follow my lead and this simple checklist, to be sure your camper is safe and rodents don’t take a bite out of next season’s summertime fun. Closely inspect everything, inside and out. If any repairs are needed, make them now so the problem doesn’t get worse sitting in storage. Fill up the gas tank and add a fuel stabilizer. Check all other fluid levels in the engine and top off everything to prevent fluids from freezing or drying out. Move everything out. Don’t leave any food or beverages packed away, even if they are unopened. Canned or bottled items can freeze and expand in cold weather and might burst, leaving a huge mess waiting for you, or worse yet a serious rodent infestation. Give everything a deep clean — dirt and stains will only be harder to remove if you let them set all winter long. You’ll be sure to get rid of any crumbs and sticky spills that would attract bugs and mice this way too! Drain all water from holding tanks and dry all water lines — any remaining water could stagnate or freeze, damaging your plumbing system. Add a non-toxic RV approved antifreeze. Make sure to pour some down all of the drains and into the toilet too. Make sure all appliances are turned off and unplugged. Leave the fridge and freezer doors propped open to prevent mold and musty smells. Cover all vents, patch any cracks or holes, and make sure the exhaust pipe has a mesh cover — rodents, insects and even birds can squeeze through very small openings and sneak inside if you give them an opening. Put your RV up on blocks to take the weight off from the tires. Winterizing your RV might sound like a lot of work, but following this checklist will make the job a whole lot easier. 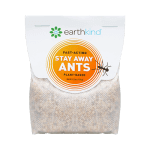 Be sure to throw in a couple pouches of EarthKind®’s botanical rodent repellent, Fresh Cab® – available at Camping World®, and other select RV dealers nationwide. You’ll love the botanical aroma, but mice and rats can’t stand the scent. If they’ve found their way in, one whiff of Fresh Cab and they’ll quickly be looking for a way out! 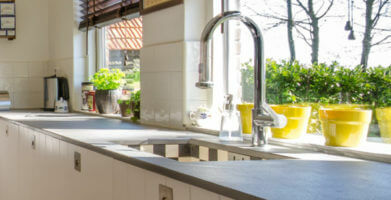 Give everything a deep clean -- dirt and stains will only be harder to remove if you let them set all winter long. You’ll be sure to get rid of any crumbs and sticky spills that would attract bugs and mice this way too! Drain all water from holding tanks and dry all water lines -- any remaining water could stagnate or freeze, damaging your plumbing system. Cover all vents, patch any cracks or holes, and make sure the exhaust pipe has a mesh cover -- rodents, insects and even birds can squeeze through very small openings and sneak inside if you give them an opening. Winterizing your RV might sound like a lot of work, but following this checklist will make the job a whole lot easier. 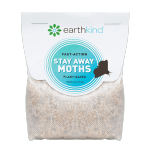 Be sure to throw in a couple pouches of EarthKind®’s botanical rodent repellent, Fresh Cab® - available at Camping World®, and other select RV dealers nationwide. 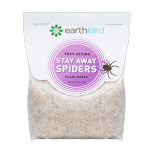 You’ll love the botanical aroma, but mice and rats can’t stand the scent. If they’ve found their way in, one whiff of Fresh Cab and they’ll quickly be looking for a way out! string(56) "Mice Can’t Wait To Make Your Camper Their Winter Home."